Eason and Son Ltd. is one of Ireland’s most reputable retailers, with a long history of top-tier customer service as a book and stationery wholesaler and retailer. Eason implemented RF-SMART alongside AX 2012 as their inventory and retail management solution. Based out of Dublin, Eason serves the Republic of Ireland and Northern Ireland. 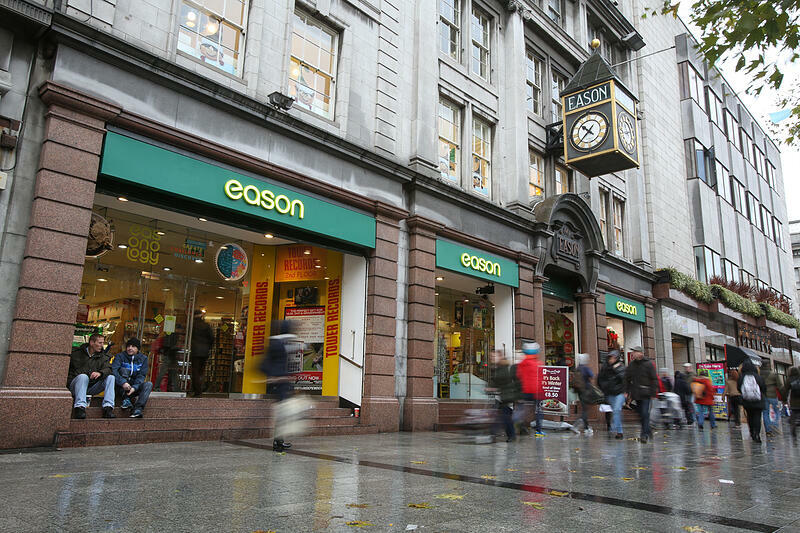 With one central warehouse in Dublin, Eason has more than 60 sites, maintaining their own retail stores as well as supplying various independent bookstores. For this busy retailer and distributor, a unified system for maintaining and managing operations was essential. So Eason made the decision to move from an ad-hoc conglomeration of various inventory, warehousing and retail solutions to one – Microsoft Dynamics AX. Eason recognized they would also need a mobile inventory and retail management solution to give them the additional functionality they were looking for. After initially choosing another solution, Eason quickly saw the need for a mobile inventory solution like RF-SMART. “When you’re in retail and on the shop floor, there is functionality you need in order to gain productivity,” said Alan Forde, Project Manager. For Eason’s retail operations, that functionality includes receiving, picking, and counting inventory. “Price checking and stock picking are a huge part of what we do, and being able to do these tasks without any manual input into AX has allowed us to gain productivity,” Alan said. Prior to RF-SMART, Eason was relying on paper receipts and keying data into a PC. Since implementing RF-SMART, Eason employees are now able to complete transactions by scanning. “RF-SMART works seamlessly with AX. Anything that can be found in AX can be shown on their handhelds, so there is no more going back and forth between the shop floor and a PC terminal, saving our team time,” Alan said. Aside from gaining productivity, another main goal of their retail solution was to gain an advantage over their competitors. Eason, like other retailers, knows that keeping customers happy requires having product in stock, knowing its location, and being able to fulfill orders. “If the product isn’t at one location, we can easily find it at another store. This is a valuable service to provide to our customers,” Alan said. “At the end of the day, if you don’t have your customers, you don’t have anything,” Alan said. As Eason migrates their stores from AX 2012 R2 to R3, it has been a smooth process with RF-SMART and has facilitated real-time information for Eason. As RF-SMART provides visibility into product location, movement and related employee activities, Eason’s head office can quickly view all transactions and identify any discrepancies. “The efficiencies RF-SMART has brought are very significant,” Alan states. For a company that relied on the tacit knowledge of warehouse employees, stocks were “extremely difficult to control.” Now they are able to do cycle counts several times a year. They've increased productivity by checking the product on the floor for pricing, compiling purchase orders and conducting goods received at the book door and are saving time and money by accessing information through mobile handhelds.